B2B salespeople need a variety of platforms to assist in prospect research—and the more verticals you operate in, the more platforms you probably need. Each of the following platforms has its unique characteristics and community traits that make it valuable for B2B networking. These platforms may not be your go-to for lead generation, but they are great for connecting with decision-makers within your target industry, helping you to keep up with the trending topics, news and events that are relevant to such targets. Facebook is not as professionally driven as LinkedIn or Twitter, however, it does contain some beneficial applications that you should leverage regardless of industry. From photos and infographics, to discussion boards & trending topics, Facebook is great for building your reputation and digital visibility. Facebook Groups: You can find the Facebook Groups icon on the left toolbar under Explore. If you click on discover, there are tabs for Professional Networking and Business. From there, you can further narrow down your results to your specific industry or interest. You can click on “Related Tags” on the left or type your topic directly into the search engine. Then, click on “Groups” in the top tab bar for industries such as Manufacturing, Supply Chain or Financial Services. Within Groups, you can connect with other professionals in your industry, discuss topics of interest and share helpful links, news and material. If you can’t find the perfect Facebook Group niche for your interest, creating your own Group is simple. You can also create Groups within Groups if the topic is more specific but still related. Facebook Live is another live streaming application that allows companies to connect in real time with their audience by hosting Q&A sessions, presenting how-to videos, and receiving feedback and questions all in actual time. While Facebook Live is most popular from mobile devices, you can also Broadcast to Facebook Live from your Mac or PC. Twitter is surprisingly more professionally based than you may think. Twitter is a fantastic network for building relationships with people in a variety of capacities. For example, if there is a specific hashtag for a conference you're attending, use it in your tweets to see who else is engaging and meet up with them during lunch or breaks. You can also connect with other professionals around the world on a daily basis by following trending hashtags and topics within your industry. Also be sure to follow industry leaders because they are likely going to be tweeting and retweeting noteworthy topics and events. Twitter is also known for its fast-paced urgency to uncover current trends and topics as they arise by the minute across the world. That being said, in order to network and contribute to conversations within your network, you should regularly engage and post relevant and useful tweets on your personal and company accounts. Similar to Facebook Live, Twitter also has a live streaming feature. Video content, especially today, is one of the most valuable content opportunities underutilized by companies, and it is exploding as The Future of Content Marketing. Video content is crucial in industries such as Manufacturing, Supply Chain and Insurance for attracting and converting leads. These industries are often labeled as complex and difficult to understand, so video content is a great opportunity to walk prospects through a how-to process, product features, company history, FAQs, etc. Video content allows you to present information and receive feedback without having to talk with individuals at a scheduled time. Prospects can bookmark and watch videos at their leisure to gain a better understanding of your industry or company, and you have time to write a thoughtful and thorough response. As prospects are able to do a bit of research and develop a better understanding of what your company has to offer, the leads that do arrive on your website are often higher quality. Additionally, your YouTube channel also does not need to remain on the YouTube platform. The best part about YouTube is that you can link your videos to a blog, anywhere on your website or other social platforms. Do make sure to choose or customize an engaging thumbnail image for your video that people will see before playing it. Livestream is another great feature that several of these apps provide (Facebook Live, Live Video on Twitter). Livestreaming allows you to discuss or present a topic and have viewers comment with their questions or thoughts in real time creating a virtual conversation with the people most interested in your products and services. Also, once your livestream video is complete, you can save and upload the video for viewers who missed the live stream to rewatch at their own convenience. Find out more about how video can be beneficial in the Insurance Industry as well as Industrial Manufacturing Marketing. While many of these online platforms are focused on connecting with other professionals online, Meetup is unique in that it focuses on connecting people initially online to later meet in person. While digital networking is convenient and instantaneous, sometimes it’s much more beneficial to connect with other professionals in person. You can specify the meetings you are interested in by topic, location and date. If there’s nothing happening around you, create your own event and invite other professionals by email or Facebook, or share a link to other networking platforms. Once you’ve gathered a group of like-minded professionals, you might find it beneficial to have regular meetings with varying topics to further build your network and expand your industry-specific knowledge. Quora is a knowledge sharing website that allows for anyone to ask and answer questions posted to the website. People can then comment, like/dislike posts and comments, and share whatever's written on a post to other social media platforms and via email. In addition to specific questions, you can search general topics like manufacturing or manufacturing in the USA, to more specific topics like car manufacturing to auto parts manufacturers in India. Quora is a great way to have lengthy, in-depth conversations with other thought leaders about niche topics. By viewing someone’s personal profile, you can see what other questions they’ve asked or responses they’ve given to questions, plus what other topics a person is knowledgeable about. 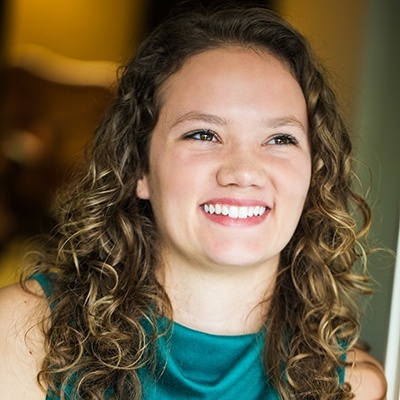 Bailey Reiners served as an inbound marketing intern for Weidert Group. Her work involved culture-based social media that supported our inbound recruiting initiatives as well as client-focused workflow and automation support.